WASHINGTON — President Trump tried to cast doubt Friday on wrenching tales of migrant children separated from their families at the border, dismissing “phony stories of sadness and grief” while asserting the real victims of the nation’s immigration crisis are Americans killed by those who cross the border unlawfully. Amid mushrooming bipartisan concern over depictions of terrified migrant children separated from their parents, Trump on Wednesday had abruptly reversed course and signed an executive order to overturn the policy, although up to 2,000 children are still believed to be separated from their parents. 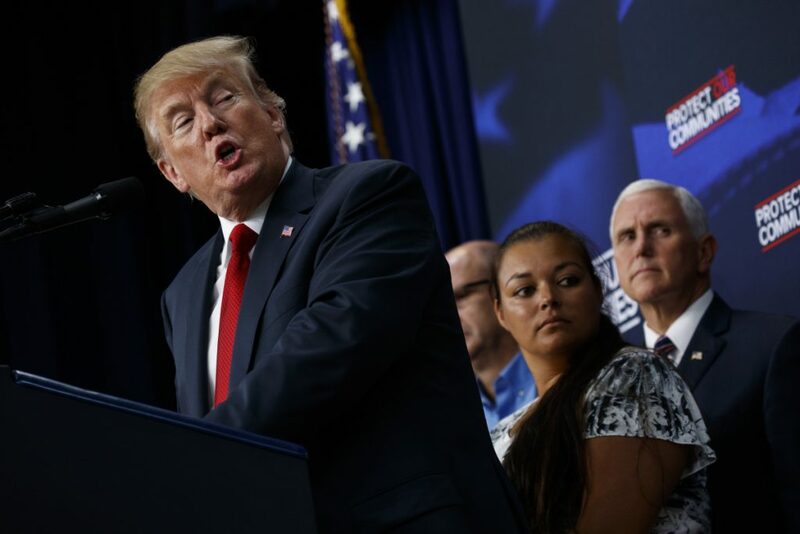 But that rare moment of public capitulation was brief from the president, who laced his remarks at a rally in Minnesota that night with hardline immigration rhetoric that continued Friday. In a tweet, the president raised questions about whether the migrants’ hardships really existed. As part of his defense for his zero tolerance border crossing policy, Trump has frequently pointed to – and exaggerated – the threat posed by members of the violent gang MS-13 who have entered the United States. In what was likely not a coincidence, the Justice Department on Friday unsealed an indictment charging 11 suspected MS-13 gang members in connection with the killings of two teens in Virginia. All the suspects were from El Salvador.